The demise of Johnny Hallyday triggered a conversation between Gary, Mark and Wo. France is in collective mourning, while these three gentlemen are truly wondering what the fuss is all about. This led to the following conversation on almost everything but Johnny Hallyday, in which it even proved hard to spell his last name right (Halliday vs. Hallyday). Sad news about Johnny Hallyday passing away at the age of 74…. I just saw it on the news, Gary. Strange to think that this man's career, who was huge in France, was over in this country before I got a notion of music beyond what my elders played. It was years if not decades before I found that this famed rock and roll guy people always seemed to write about, was the same of that song 'Pour moi la vie va commencer'. I never connected the two. I don't know any of his records but you could say before The Beatles changed everything the top teenage icons of rock'n'roll were Elvis, Cliff and Halliday but only Elvis big in all these markets. Cliff never broke America and presumably Halliday blocked him out of the French teen market? How big was Elvis in France compared to UK? Largely unknown in UK, a francophonie footnote in the rock annals of rock, Johnny Halliday is precious national French property - like Alain Delon. He wasn't tempted by Hollywood and similarly Bardot who dipped her toe only from time to time (Doctor at Sea with Dirk Bogarde and Shalako with Sean Connery) and thought better of it. "Can the French do rock'n'roll and be cool?" is an old joke on our side of the Channel. 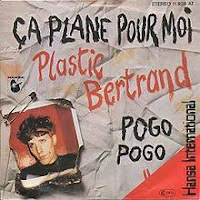 I can't name a single French rock band....just the odd curiosity like Plastic Bertrand. Gary, if you could add your bit, it seems we have an item here. As a follow up to Mark’s comments, Plastic Bertrand (real name Roger Jouret) was of course a Belgian (born in Brussels in 1954... so just a few years older than me an Mark!). And although not really “my cup of tea”, was actually a reasonable drummer and loved and was inspired by the Stones. 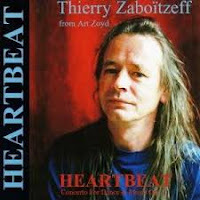 As his unique fame dwindled in 1987 he represented Luxembourg in the Eurovision Song Contest with the song "Amour Amour". This failed to impress the juries, however, scoring only 4 points and placing 21st out of 22 entries! I am sure there are many French ‘Pop’ and MOR artists that have ‘escaped me’ 😂 and to be honest I am not about to immerse myself in French ‘popular beat combos’. But as a proponent of Progressive Rock, I have bought or listened to some French Prog bands and artists over the years. Two in particular you may have heard of? Gary's knowledge of the heavier prog side is far deeper than mine! On the lighter side and, while rather niche, I think we have to mention Alan Stivell from Brittany who made quite an impact on the UK folk fraternity (The Chieftains, Steeleye Span etc), had a run of albums in the 1970s and toured the UK but then disappeared from our view at least as the folk boom faded in the 1980s. Do you have many French readers, Wout, who may be rather bemused by our reflections on their musical icons? Just watched a short biography about Johnny Halliday on French tv. To his credit he seems to have stayed closer to his rock'n'roll roots than Cliff and was still filling stadium concerts until recently. As was trend for a while in the 1960s, Cliff tried his hand at foreign language versions of his singles and released a few highly collectable French e.p.s. and there were his big films like Summer Holiday (a European road film) which I presume were released in France. 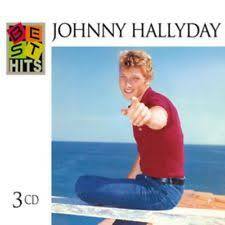 I wonder if Halliday sang in English at all? He did play the Albert Hall not so long ago - a concert mainly for his UK-based French fans presumably. 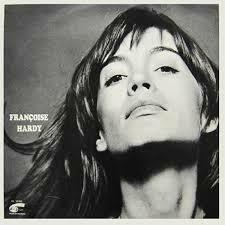 Francoise Hardy is an impressive multilingualist who recorded singles and entire albums in Italian, German and English. It seems that Halliday sang in English. The last time he performed over here was to promote an English language album it seems. It all past me by. Like my newspaper wrote, in a page big obituary no less, Halliday was the most famous popstar you never heard of. That last bit's not true, but I know only one of his songs. And do not like it. When I take "hear" literally it certainly is true. What I did know is that he is of Belgian descent, having a Belgian father. His real name was Jean-Philippe de Smet. French singers and bands? I am afraid there are frightfully little in my collection. I was never one for chansons for one. The song I always truly loved is 'Poupée de cire poupée de son', by France Gall, the winner of the Eurovision song contest 1965. And there's Les Poppies with 'Non non je ne regrette rien'. True pop songs do not get much better. 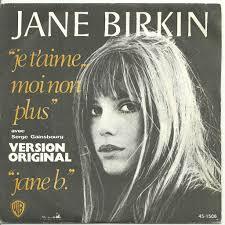 The scandalous Gainsbourg-Birkin singe 'J'e t'aime - moi non plus' is another long time favourite. Whatever else is going on there, the music is fantastic. There are a few incidents along the road to 2017. Plastic Bertrand is one, a 45 I have for nearly 40 years. 'Etienne' by Guesch Patty another, like 'Ella Ella' by France Gall. Only in the past two years I have encountered a few French albums that are noteworthy. Mainly because of the blog. I ran into Lou Doillon, daughter of Jane Birkin who has released two great albums, 'Places' and 'Lay Low'. Her step-sister Charlotte Gainsbourg, daughter of both, has just released a deliciously mysterious and sensuous record called 'Rest'. Her '5.55' album, made with Air is quite o.k., like some parts of 'Moon Safari' by Air itself. The tiny record label Tiny Room Records here in NL has released two French acts recently. The singer-songwriter folk of Queen of the Meadow and the lo-fi album by Garciaphone, 'Dreameater'. Especially the last one I truly like. It captures many flavours, including symphonic rock, without any of the exuberant bombast that is part of that music. Next to all that there are of course songs by Julien Clerc, Gérard Lenorman, etc. that became hits in the 70s. They're nice but not really my cup of tea. After the 70s music from France was played less is my impression or went unnoticed by me. Over the past years there were some rap songs in French, but me and rap? My focus is mainly on the U.K., then the U.S. and in this decade certainly NL. There's a lot of good stuff happening over here that I truly like. Some by bands that most likely no one will ever hear of. I will send you a few links to my favourites to discover in a separate email. Note of the editor: unfortunately due to copyright infringements we can not show the photo. Just imagine a smoking Serge Gainsbourg, looking very much himself. Mark, to come back to another question. Yes, there are regular views from France. How many people this involves is impossible to know. Gary, the references you made are in some cases not even names to me. Totally obliviousness on my part I'm afraid. I'll be certain to listen at some point just to find out. I know the name Jean-Luc Ponty, because he played with Frank Zappa somewhere in the 70s. I counted him more as jazz-rock, I think. At least that's my impression. You mention France Gall: I might one day check the other so-called "ye-ye girls" including her and Sylvie Vartan (who was married to Johnny Halliday) - but Francoise Hardy was as I understand it the most sophisticated of these as a songwriter and her records have largely stood the test of time (and as testimony of that her albums are now being re-mastered). qui c'est enfin réalisé et tu me fais mal comme un rêve dont il va falloir m'éveiller. Topped by an impressive solo guitar flourish at the end. Play that and tell me your spine isn't tingled: I think it is a timeless gem. She was the most well-known of the French pop singers in the '60s in the UK; she featured regularly in all the English pop publications of the period, was a fashion icon - and was so photegenic - such a timeless beauty (but never rich hippy or trashy). C'est pourquoi je l'aime. I just listened to the whole album ('Question', ed.). Very Brazilian the music that goes on in the background. Yes, I liked this introduction. You should like the Charlotte Gainsbourg album also, is my guess. 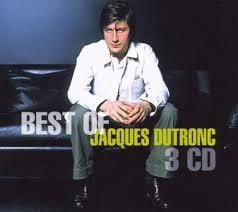 Currently I am listening to Jacques Dutronc in the background. Her (Françoise Hardy. ed.) husband so I found. One of his songs, one of the two NL hits he's had in NL, 'Le Responsables' features in a Thalys add currently on television about two senior citizens who decide to escape the old folks' home they are in and head for Paris. Dutronc had only one major hit over here, in 1968: 'Il est cinq heures Paris s'reveille.' Totally out of the order of his pop-garage-rock songs that seem to have been his standard in the 60s it seems. And that became the hit here. What does that tell you about this country? If I remember correctly it was the likes of 'Lazy Sunday' and 'Summertime Blues' that topped the charts at the same time, so not all bad. The funeral in Paris was impressive and a moving tribute to his prominent place in French culture. I doubt there will be anything on that scale for Cliff Richard, ennobled even though he is as "Sir Cliff". The year after next it will be 60 years since he first topped the UK charts (with "Living Doll"). 55 years ago my mother took my brother and me to see "Summer Holiday" in an open air cinema in Aden in what is now war-torn and famine-stricken Yemen but at that time a British colony. How times have changed but the film is still an enjoyable watch as a European travelogue with happy and carefree youngsters, and a clutch of catchy tunes, Hank Marvin twanging away on some of them to fix it firmly in the pre-Beatles era. That's a beautiful, if somewhat sad, ending to our foray into French music. P.S. from the editor: Would anyone from France like to respond and put things in context for us? That would be a nice addition. Reach out and we will make it happen.